Dr Yuen, Co-chief Executive Officer of MaLogic, is a brand-building and marketing management veteran with over 30 years of experience. 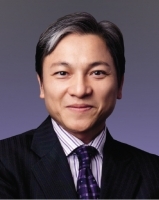 He was Chairman of The Association of Accredited Advertising Agencies of Hong Kong. A keen supporter in the areas of community service and education, Dr Yuen is now Professor of Practice, Chairman of the Advisory Committee on Communications and Public Affairs, and Former President of the Outstanding PolyU Alumni Association of PolyU.